Nahargarh is most Luxurious heritage hotel in Ranthambore which is surrounded by Aravali hills range. 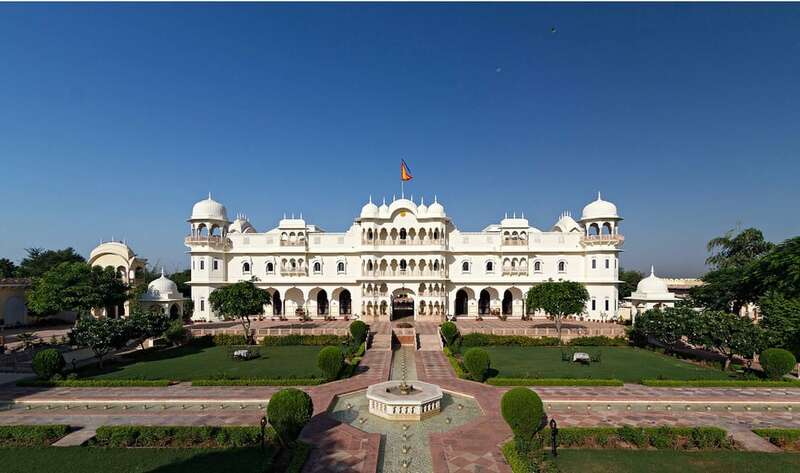 It is one of the excellent heritage hotels in not only in Ranthambore but also in Rajasthan which is splendid example of architecture.It is built in sixteenth centaury architect style fortress, traditional Rajput hunting palace and beautiful Mughal garden style. Despite being made of the Old heritage style it's also provides excellent modern facilities and services. The nearness of hotel Nahargarh to the edge of the National park makes it a travelers' center. It is perfect place to explore ranthambore wildlife and excellent services and amenities make the stay comfortable and homey feeling. The reception area and dining is fantastically decorated with the golden enchase work. The heritage castle style hotel is well liked by couple and film maker and an idle location for wedding and conferences. There are 68 ultra air-conditioned luxury and large specious room with heritage style. The stunning structural design of the hotel really provides the sense of living like a king or a queen in a Palace. On the first floor rooms have majestic individual courtyards and those rooms or suites are situated in the second floor is with private terrace that offers charming view of the National Park. Every part of the hotel Nahargarh has been designed in a exceptional color scheme, ambience and style. The Luxury services and perfect services make the sty unique and memorable. The Hotel has multi cuisine restaurant that offers mouthwatering food in it’s a spacious dining area. These rates are not applicable between Diwali Vacation, New Year, Xmas & festival period.